HMS Queen Elizabeth, Britain’s new 65,000 tonne aircraft carrier and the largest ship ever built for the Royal Navy, is soon to be formally commissioned into the Royal Navy fleet by Her Majesty the Queen. Tex Special Projects designed and manufactured the innovative Flying Control Room (FLYCO) and installed the glazing throughout the ship. Over 10 years’ of feasibility studies, design and Finite Element Analysis was carried out at Tex’s UK site. 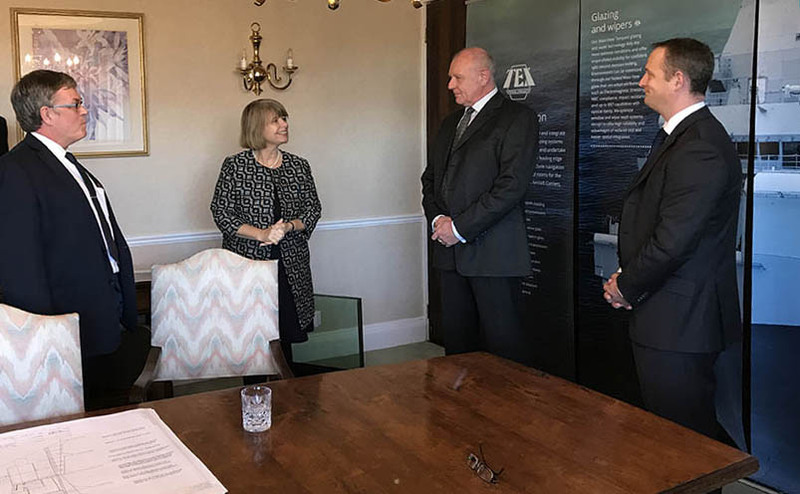 Defence Minister Harriett Baldwin visits Tex Special Projects on 23 November 2017. Other Tex ATC Division projects include the air traffic control room at Manchester Airport, towers in UAE, and the visual control room at SBIA Bangkok, the world’s tallest control tower. Read more about Harriett Baldwin’s visit on the HM Government GOV.UK and Ipswich Star.